All the same, the bones of the “Centaur of Tymfi” stands proudly on display at Tucson’s International Wildlife Museum in a just-opened exhibit. Nearby is the skull of a “griffin,” a legendary flying lion with an eagle’s skull, and the noggin of a “cyclops,” the one-eyed giant of Greek myth. Taking center stage is the centaur, designed by sculptor and zoologist Bill Willers of the University of Wisconsin at Oshkosh. Entitled “Mythological Wildlife,” the exhibit aims to make folks think about how we know what is real, says museum director Richard White. A paleontologist, White says the exhibit also looks at how folklore might hold a few hidden scientific stories. A shadowy corner of scholarship called “cryptozoology,” filled with folks looking for Bigfoot or the Loch Ness monster, has put these sort of questions into disrepute. But scholars such as Stanford University’s Adrienne Mayor, author of The First Fossil Hunters: Paleontology in Greek and Roman Times, have opened wide questions about what folklore has to offer science today. For the exhibit, for example, the “cyclops” skull on display takes its cue from the suggestion that the skull of a prehistoric elephant called a mastodon, tipped on its side, might have resembled the skull of a one-eyed giant to the ancients, including a Roman emperor who perhaps kept a mastodon skull on display. A horn-faced dinosaur called Protoceratops, may have partly inspired the griffin. Looking at the scientific origins of legends isn’t a new idea, notes art professor Beauvais Lyons of the University of Tennessee in Knoxville, who points out that New York’s American Museum of Natural History ran a “Mythic Creatures” exhibit so popular it was extended from 2006 until 2008. And the renowned Museum of Jurassic Technology in Los Angeles has for decades blended real natural science with flights of biographical fantasy. Lyons heads the “Hokes Archives” (as in hoax) at his university, “devoted to the fabrication and documentation of rare and unusual cultural artifacts.” The university brought “The Centaur of Volos,” created by Willers in 1980, to the university’s John C. Hodges Library. Instead of a standing centaur, the Volos display is of a centaur half-excavated from the ground in classic archaeological museum fashion. “I am excited that Bill Willers has extended his investigations of centaur anatomy with his new upright work now in Tucson,” Lyons says. That centaur skeleton, the Centaur of Tymfi, in contrast, stands upright, the bones of a man seemingly jointed perfectly to a horse. Tymfi (TIM-fee) is the mountainous Greek village, a plaque carefully explains, where the centaur was found intact in the far recesses of a cave. ” There is an unconscious impulse to clothe bones in flesh when we first see them,” Willers says, explaining his centaur creation. With the Tymfi centaur, the plaque also offers visitors a written backstory of the legend, pure hokum of course, meant to extend the duration of time before disbelief takes over again. “I want to trigger that belief and extend it, to trigger a feeling of wonder that connects people to the natural world, to see a person like themselves as a wild animal,” says Willers. The International Wildlife Museum is a bit unusual as well, White notes. Supported by the Safari Club International Foundation, its funding ultimately draws from hunters interested in animal conservation, and contains displays of wild animals (real ones) in most of its exhibits. “I’m not worried about kids seeing the centaur and drawing the wrong conclusion. They have very strong senses of what is real and what is fantasy,” White says. “I’m a little worried about their parents,” he jokes. No one is hunting for centaurs these days, of course, but science remains on the trail of all sorts of mysteries. People centuries from now will doubtless find some of those ideas credulous as well. Washington, DC – Safari Club International Foundation (SCI Foundation) has announced that it is close to hitting an unprecedented milestone by contributing nearly $1,000,000 to African lion projects for conservation and research. This new information comes at a crucial time when the international conservation community is conducting a review on lions. 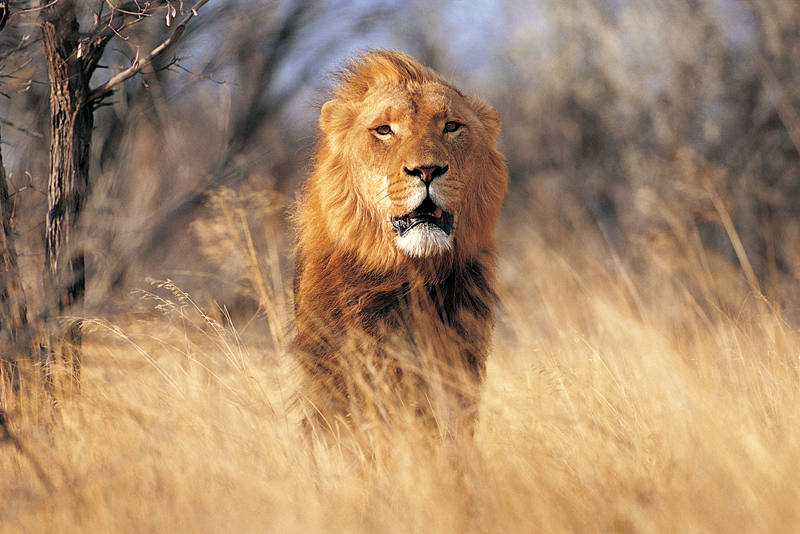 This review will determine whether lions are appropriately listed in the CITES Appendices. Currently, they are listed as Appendix II, which poses restrictions on international trade in the species. Annually, SCI Foundation underwrites the African Wildlife Consultative Forum (AWCF), a meeting where government officials from various African countries convene and discuss leading wildlife conservation issues and wildlife policy and management. 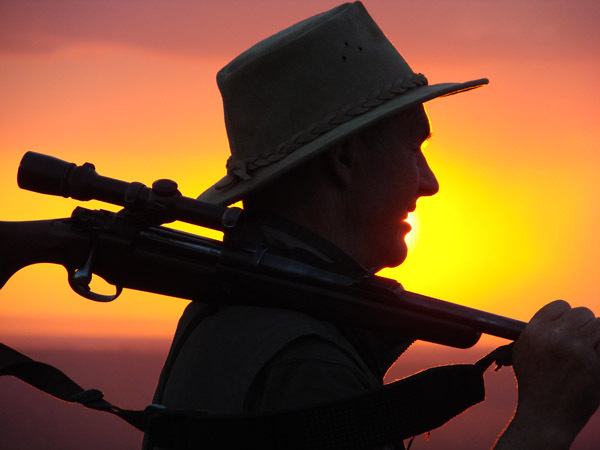 The AWCF promotes the practice of sustainable use, including hunting. Therefore, Professional Hunting Associations and other NGOs are represented at this meeting to share their expertise and concerns with regard to wildlife conservation and hunting regulations. “Throughout the decade long effort to improve the AWCF, lion conservation has been a continual theme that SCI Foundation hopes will result in ever improving management for such an iconic species,” concluded Hosmer. The SCI Foundation is a 501(c)(3) nonprofit charitable organization that funds and manages worldwide programs dedicated to wildlife conservation, outdoor education and humanitarian services, including such programs as Sportsmen Against Hunger, Sensory Safari, Safari Care, Disabled Hunter, the American Wilderness Leadership School, Becoming an Outdoors Woman & More and Youth Education Seminars (YES) Outdoors. Call 877-877-3265 or visit www.sci-foundation.org for more information. These programs create an incentive for rural communities to actively conserve wildlife. Revenue retention schemes ensure that money generated from sport hunting ends up in the hands of indigenous people. In the case of sport hunting in southern Africa, communities in the most rural portions of countries reap the benefit of conserving wildlife through Community Based Natural Resource Programs. The above testimony, from a July 28th hearing held by the U.S. House Natural Resources Committee, can be downloaded in full here. The Safari Club International Foundation’s press release on the hearing, released July 28th, can be downloadedhere. The Safari Club International Foundation is an ICCF Advisory Council member.